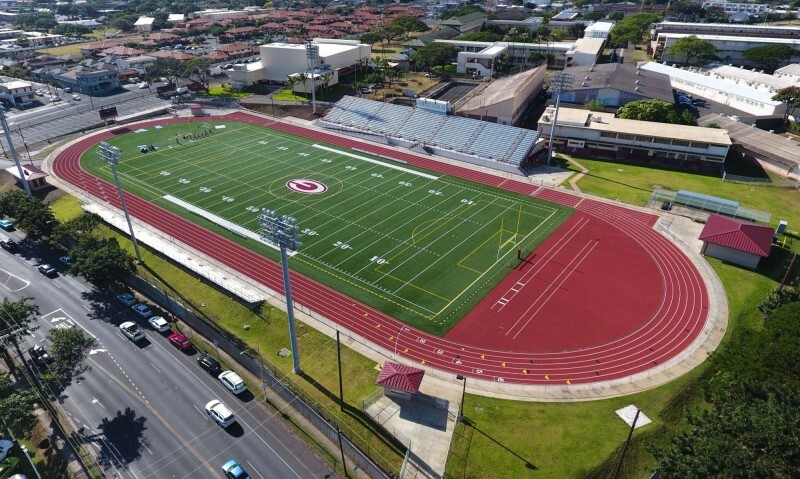 WILSON OKAMOTO CORPORATION (WOC) prepared and processed an environmental assessment, pursuant to Chapter 343, HRS, for the Governor Wallace Rider Farrington High School Development Master Plan located in Kalihi. WOC also prepared traffic impact assessment report. The Master Plan is intended to provide guidance for the redevelopment of FHS in nine phases, over the next 15 years (2028) and proposes a range of school improvements that will provide students, faculty, and the surrounding community access to quality educational, athletic and cultural facilities. The Master Plan will renovate and replace obsolete buildings and infrastructure across the entire campus. Phase 1 was completed with the construction of the new athletic field and athletic facilities.